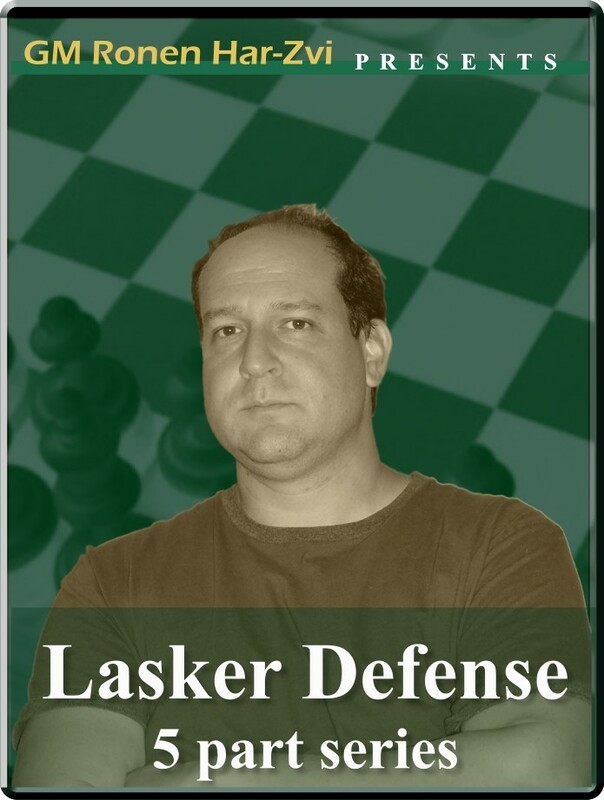 Ronen's Opening Survey: Lasker defense (5 part series). D56: QGD: Lasker defense, QGD: Lasker defense, main line ,QGD: Lasker defense 8.Bg3, QGD: Lasker defense, Teichmann variation. The Lasker Defense (1.d4 d5 2.c4 e6 3.Nc3 Be7 4.Nf3 Nf6 5.Bg5 h6 6.Bh4 0-0 7.e3 Ne4) in the Queen's Gambit is one of those openings where the idea of "black to equalize" is seen in full force with the exchange of some minor pieces. It was the main weapon of Emanuel Lasker in his title defense against the American champion Frank Marshall in 1907, hence the name, and recently received a revival by being adopted by Vishy Anand in his title defense earlier this year against challenger Veselin Topalov. And in a new series of Ronen's Opening Survey, Chess.FM's resident openings expert, GM Ronen Har-Zvi, overviews the Lasker Defense in light of new interest shown in it following Anand's recent adoption of it. Ronen's Opening Survey: Lasker defense (5 part series). D56: QGD: Lasker defense, QGD: Lasker defense, main line ,QGD: Lasker defense 8.Bg3, QGD: Lasker defense, Teichmann variation. The Lasker Defense (1.d4 d5 2.c4 e6 3.Nc3 Be7 4.Nf3 Nf6 5.Bg5 h6 6.Bh4 0-0 7.e3 Ne4) in the Queen's Gambit is one of those openings where the idea of "black to equalize" is seen in full force with the exchange of some minor pieces. It was the main weapon of Emanuel Lasker in his title defense against the American champion Frank Marshall in 1907, hence the name, and recently received a revival by being adopted by Vishy Anand in his title defense earlier this year against challenger Veselin Topalov. And in a new series of Ronen's Opening Survey, Chess.FM's resident openings expert, GM Ronen Har-Zvi, overviews the Lasker Defense in light of new interest shown in it following Anand's recent adoption of it.